This week (June 18th), New York took important steps towards legalizing marijuana: The state health commissioner first recommended legalizing the drug. Mayor de Blasio then announced that the city would start handing out tickets to people smoking marijuana instead of arresting them. While the recreational use of marijuana in New York is still technically illegal, enforcement is expected to drastically change on September 1st, when the Mayor’s announcement will go into effect. It is important to note, however, that people seen smoking can still be arrested under various conditions, such as having an open arrest warrant, having previously been convicted of a violent crime, failing to have identification, being on parole or probation, or being considered a threat to the public. In general, ticketing will replace arrests, requiring that people go to court to issue a plea and involving fines that are at the discretion of a judge. However, these fines (which will be issued as violations for unlawful possession of a small amount of marijuana instead of crimes), will likely be around $100, and any summons would be sealed at the end of each case. While the mayor made a very similar announcement in 2014, this particular decision involves adding public smoking to the exemption. 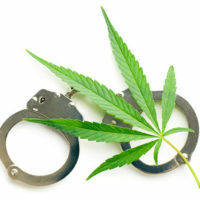 We have previously discussed some of the alarming statistics to come out of New York when it comes to marijuana use and arrests; statistics that likely prompted this change. The city alone arrests more than 17,000 people per year, and this involves a significant amount of racial disparities. Specifically, the report issued on the subject demonstrated that police in New York almost always made arrests at a higher rate in areas with more black residents. There are only 21 total dispensaries in the entire state. In order to participate in the program, one must register with the health department, receive their card, and purchase the marijuana from a registered dispensary. If you have been arrested or accused of a drug crime, you need to speak with an experienced criminal defense attorney right away in order to ensure that your rights are protected and you have not been unfairly or illegally targeted or arrested by the police. Contact the office of Phillip J. Murphy today for a free consultation to find out about our legal services; we have been serving clients accused of crimes throughout New York for more than 25 years.